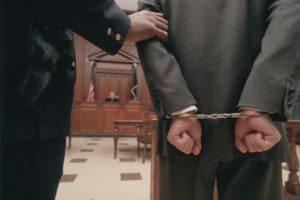 If you speak to a misdemeanor defense attorney to review your case, we will discuss the legal standard for that particular charge, any possible defenses, and the potential outcomes and sentences for your case. If you have no prior criminal record, you may be eligible to participate in a program for first offenders that would lead to the dismissal of your case. If you are charged with a domestic violence offense, an attorney at Thomas, Ferguson & Mullins can help you prepare the best strategy of defense for the case. Often, domestic violence criminal charges are accompanied by a civil request for a domestic violence protective order or a no-contact order. The attorneys at Thomas, Ferguson & Mullins are experienced in dealing with both the criminal case and the civil case and understand how these two courts work together. Contact our office to discuss your particular circumstances. Thomas, Ferguson & Mullins also handles juvenile delinquency proceedings which involve juveniles (in North Carolina, a juvenile is someone under the age of 16) who have been charged with crimes in juvenile court. While this is considered a civil proceeding, the substantive law is criminal. Contact our office to schedule your free consultation. We can explain your charge, the possible outcomes and the fees for defending you.